Welcome welcome welcome, Nancy, to the blog! You have some exciting news to share? Thank you so much for inviting me to share the news about my new book launch on your blog – especially since today, 15th November 2018, is the official ebook online launch day! Agricola’s Bane is the newest addition to my historical Celtic Fervour Series (published with Ocelot Press) that’s set in late first century A.D. Roman Scotland. It’s a time of great upheaval when the Ancient Romans invade the territories of the Caledonian tribes of northern Britannia. Agricola’s Bane, Book 4, continues the tales of my Garrigill warrior clan, a series that’s been likened to a Clan Saga because there are recurring family members, who may be the main character of one book but a fleeting secondary character in another book. Agricola’s Bane features Enya of Garrigill. Enya is a second generation member of my clan who some years before became refugees, having fled northwards when their Celtic Hillfort was invaded by Ancient Roman legions bent on death and destruction. The date at the outset of Agricola’s Bane is mid-November A.D. 84 and the location is Caledon territory (Modern-day Aberdeenshire, Scotland). The Late Iron Age tribal warriors who survived a very recent battle against the Ancient Roman armies take refuge in the hills. The Ancient Roman General Agricola has continued to march northwards after the battle but finds that he is thwarted by local warriors who continue to be very adept at guerrilla warfare, and who confuse him with their unexpected tactics. Agricola is also at the mercy of his increasingly unstable Emperor Domitian who asks much more of Agricola than he wants to give. Going anywhere near the Roman legions means risking a stabbing death under a Roman gladius, but when Enya and her warrior companions venture forth on a dangerous quest they find they must also evade the notice of the traitorous Vacomagi who have signed up for Roman coin! On the 22nd November, there will be a physical launch event at a local Heritage Centre in Aberdeenshire where the paperback versions will be available for launch-day signing. 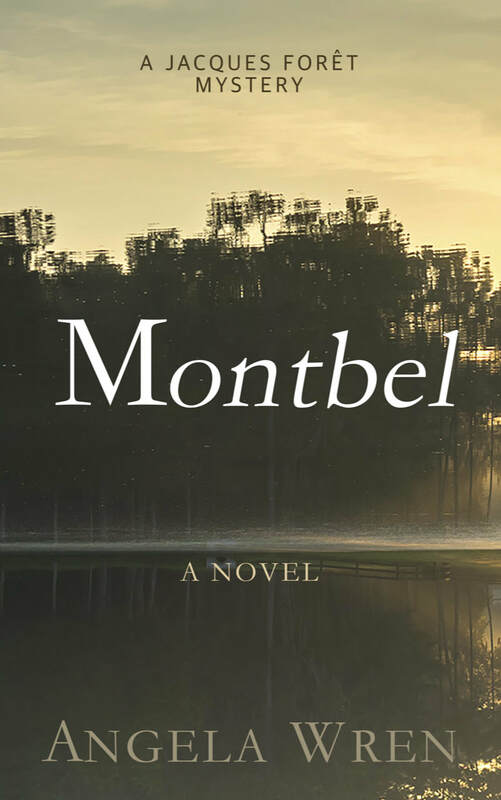 Huzzah for Angela Wren's latest book, Montbel! When a vital piece of evidence throws a completely different light on Jacques' case, his adversary becomes more aggressive, and Investigating Magistrate Pelletier threatens to sequester all of Jacques papers and shut down the investigation. AW You're originally from Paris, Jacques, but you've lived here in the Cévennes for quite a while now. Do you miss Paris at all? JF Of course! Paris will always be home to me. But the Cévennes has its own attractions. The scenery is rugged; there are vast tracts of forest and in between lots of charming villages. And we have some significant mountain peaks here, Mont Lozère is about 1700m above sea level, Mont Aigoual is just a little less than 1600m and the Corniche des Cévennes, a series of smaller peaks, rises to just under 1000m. The Cévennes is on the southern aspect of the Massif Central and covers parts of the departement of Gard, Lozère, Hérault and Ardèche. AW Lots of mountains and river valleys then. So what’s the weather like all year round? JF From May to October it’s usually very warm and we have plenty of sun. But with the mountains, the weather can change very quickly. Autumn and winter can come early and up on the peaks there can be icy winds that sweep down into the valleys. So from October the temperature falls sharply and we often get a lot of rain and in January and February there is frequently snow up in the mountain villages. AW Does that mean you ski Jacques? JF Err…no. I’ve never learned how to ski. This countryside is good for walking and, on a cold bright winter’s day, with snow on the ground, the scenery is beautiful. You should come back and see for yourself! AW And that wink was out of order, Jacques! Now, you were telling me about walking here. Are the paths clearly defined and how difficult are they? JF The ones through the forest surrounding the village of Messandrierre are well sign-posted and they are reasonably easy for most people. But proper walking boots are essential as the terrain can be very rough. There are other longer routes with difficult climbs and I would only recommend those for people who are used to walking in mountainous areas. AW And what about the hunting, shooting and fishing here? JF Ahh, you hunt? That surprises me! AW No I don’t, but hunting, shooting and fishing are sports that all have a significant following in the UK. JF And here in France too, especially this area. From August most of the tourists who visit come here for the hunting. We have deer, stag and boar to hunt. From later September and in October you can buy ready-prepared Sanglier au Armagnac in the local supermarkets. You should try this. And of course there is fishing in the many rivers and lakes in the area. But anyone who comes to hunt here must have the correct permits. AW Of course. As an ex-policeman, Jacques, I wouldn’t expect you to say anything else! New book launch (and sale! )by the hilarious Steve Higgs, author of the Blue Moon Investigations series! And now, come meet Tempest! My name is Tempest Danger Michaels. You are probably thinking that I have a ridiculous name. Most people do. It was not of my choosing, of course, you understand how it works. As a child, I thought nothing of it until I started school and the reactions began. Of course, I introduce myself as Tempest, which raises an eyebrow occasionally but little more than that. It is not until my middle name is discovered that real comments begin. My Father explained that he had wanted me to have a memorable name that would assist me in life. Personally, I think he watched too many adventure films and got carried away with romantic notions of heroes saving the day. I admit that I have used the line, "Danger really is my middle name" and proceeded to prove it a few times as an adult by producing my driving license and that once or twice it has resulted, part way at least, in getting me laid. So, I guess there are advantages and disadvantages to my name as much as there are to any other. The problem generally is that people assume I have changed my name, that I chose it myself because I wanted to say, "Danger is my middle name" before diving out of a window or something equally moronic. Now that I have explained the name, I am still faced with the unfortunate task of telling you what I do for a living. I have my own business and that of course always sounds good, but when you are on the second date and the lady wants to hear more about you there is simply no good way of telling her that you are a paranormal investigator. The reactions have been entertaining I suppose. Some freeze and ask me to repeat myself, some laugh and ask me what I really do. One called me a total loser and walked straight out of the restaurant. However, not one lady has ever been impressed with my current job. Doubtless, you are on their side but let me explain how it came about and let me first reassure you that I in no way believe that the paranormal exists. My two-room office sits above a cheap, and by all accounts crap, travel agent in Rochester High Street. The location is fantastic though, sitting in the shadow of the Cathedral and surrounded by amazing architecture. Outside my door are myriad public houses, restaurants, and shops selling baked wares, the smells from which combine to assail the nostrils and imbue hunger. The pavements are cobbled, the mere fact that it is a tourist location means it is always clean and litter free, and at different times of the year, such as Christmas, it is delightfully decorated and cheer-inducing. The office is rented from the owner of the travel agent, a chap that appeared to have been boil washed. Tony Jarvis Travel was a sorry little place which might have been a booming business twenty years ago but had the appearance of a shop lost in time and purpose. The décor and displays were at least a decade old and poor Tony had the haunted look of a man that had already given up. Mousy, thinning ginger hair and a very pale complexion on a tiny frame led to my boil washed analogy. I had heard his wife, had to be a wife because no one else would speak so harshly to a person, berate him for not trying hard enough to bring in customers. Despite her feelings on the matter, a slow, but steady stream of pensionable age citizens shuffled in and out. Anyway, I lost the point there. I joined the British Army as a young man and made a good career of it. However, they very generously offered me a substantial sum of money to leave during one of their drawdown periods and I took it. I was mid-thirties by then and was due to end my contracted twenty-two-year career at forty anyway. The pay-out from the voluntary redundancy combined with my gratuity and immediate pension benefits made my bank account look quite healthy, so I felt no desperate rush to move into my next career. I had no idea what I wanted to do after the Army anyway, so for a period I bummed around walking my dogs, visiting places I had only seen on TV and doing a bit of DIY to the house I had bought as an investment a few years ago. This went on for a few months until my Mother asked if I was ever planning to work again. My Mother generally didn't leave much wriggle room, so I set about finding a job. Disinterested in virtually everything that was on offer to me, it was only when a friend enquired whether I had considered setting up my own business that I hit upon the idea of being a private investigator. I didn't come up with the idea all by myself, I happened to be leafing through a magazine designed for forces personnel leaving the services and looking for new careers. There, I found a half-page advert for starting your own investigation business. Curious, I grabbed the yellow pages and discovered that in my local area, which had several million people in it, there was not one private investigator advertised. This, I considered meant there was a niche market, a gap, an opportunity and thus I applied to take the course and buy the equipment. I contacted the Yellow pages and they were jolly expensive, so I went with a local newspaper that advertised local businesses. Best to start out small and keep the overheads down was my thinking. Life likes to laugh at my plans though, so what happened was the paper ran my advert under the title Paranormal Investigation instead of Private Investigation. In a loud and somewhat apoplectic voice, I asked them how this happened the day the paper came out. They explained that the girl writing the ad saw the Blue Moon name I had chosen for my business and wrote paranormal without even noticing she had got it wrong. They apologised and made some placating noises, offered to run my advert correctly for a month for free, that sort of thing. The paper was published and in circulation though, so whether I liked it or not, for the next two weeks I would be a paranormal investigator at the Blue Moon Investigation Agency. I remember being distinctly irked about the advert and sitting in my office convinced that I could just shut up shop until the advert ran correctly again in two weeks’ time. Well, I was wrong. The morning the advert ran I received my first phone call at 0912hrs and had a further three enquiries the same day. I have enjoyed a steady stream of business clients ever since. That was six months ago. I kept the business name, kept the advert running and keep wondering if maybe I need to take on additional staff. 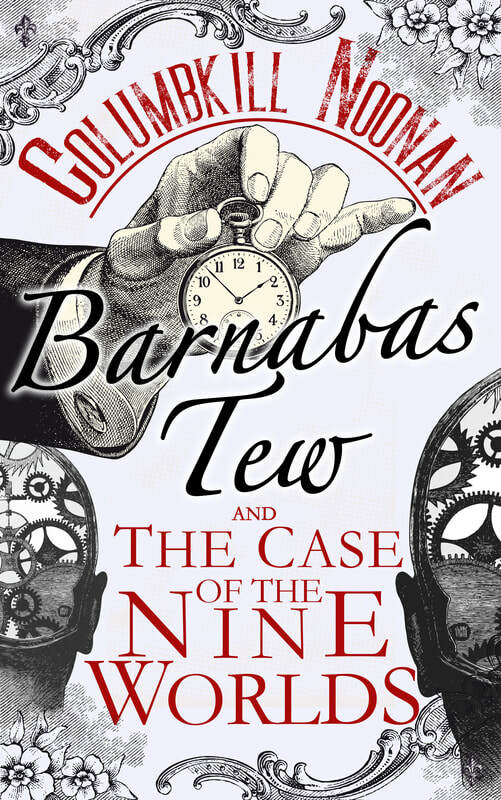 Mostly, I investigate strange events which turn out to be one too many vodkas but mixed in with the stupid ones are cases that take some effort to solve. Included in this list have been a man that was attacked by a werewolf, which turned out to be a drugged-up, hairy, homeless person with no shirt, a couple that had suffered a series of bad luck incidents and believed they have been cursed by their great Aunt Ida (who is definitely a witch, she has a black cat), but were just plain unlucky and an old lady who was being kept awake by ghostly noises but turned out to have a flatulent dog. Knowing with utter conviction, like any sane person, that the whole paranormal world is a load of fantastic nonsense, meant that I could ignore exploring the possibility that a werewolf was genuinely running around Chatham or Aunt Ida was a witch throwing curses at her lesser relatives and thus find a solution to each case that generally presented itself as obvious once the paranormal had been discounted. The best bit was that people paid me to politely point out how daft they were. 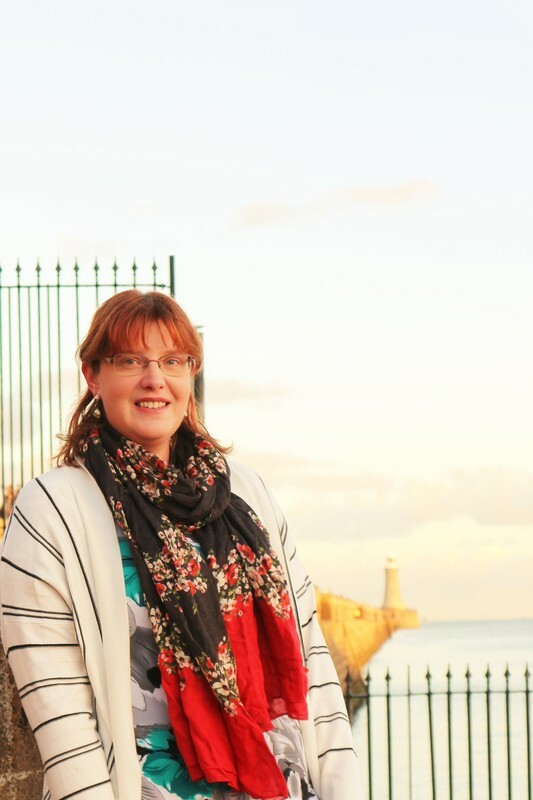 Introducing Costa del Churros, the exciting new book by Isabella May! 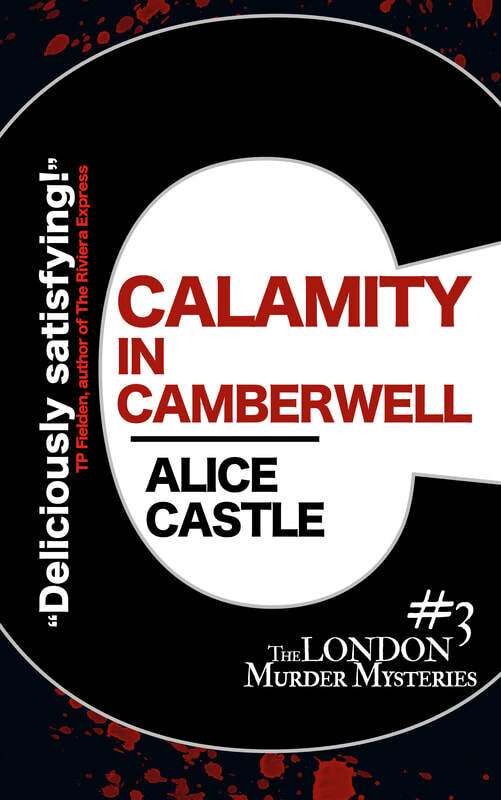 Alice Castle presents "Calamity in Camberwell! Let's welcome Alice Castle, who is here to discuss her latest in the fabulous Death in Dulwich series, "Calamity in Camberwell". Death in Dulwich was published in September 2017 and has been a number one best-seller in the UK, US, Canada, France, Spain and Germany. A sequel, The Girl in the Gallery was published in December 2017 to critical acclaim. Calamity in Camberwell, the third book in the London Murder Mystery series, is available to pre-order now and will be published on 13th August, with Homicide in Herne Hill following ion 3rd October2018. Alice is currently working on the fifth London Murder Mystery adventure, Revenge on the Rye. It will feature Beth Haldane, DI Harry York, a mysterious artist, an ageing Labrador, and an out-of-control cavapoo puppy. Beth Haldane, SE21's answer to Miss Marple, worries she is losing a kindred spirit when her friend Jen, the only other single mum in the playground, suddenly gets remarried and moves to nearby Camberwell. Soon Beth has to face much more pressing fears. Has something gone horribly wrong with Jen's marriage? What is her new husband really up to? Why is her daughter leading Beth's son astray? And where on earth IS Jen anyway? As Beth's friends push her to start dating again, Beth turns to Met Police DI Harry York for help. But will they solve the mystery in time, or will it turn out that in south east London, not everyone gets to live happily ever after? Q. Calamity in Camberwell is the third in the London Murder Mystery series – do you have to have read the others to enjoy it? A. Not at all, you can read Calamity in Camberwell as a stand-alone cozy crime murder mystery – but I’m hoping you’ll get hooked and want to read the others, too. Q. Does it get easier to write whodunits as you go along? A. I wish! I seem to be making the plots more elaborate for each book as I write it. If only I could just have one suspect and a nice, blunt instrument – but Beth, my single mum amateur sleuth heroine, seems to like life to be a bit more complicated than that. Q. Do you enjoy the writing process? A. I’d say it’s a love-hate thing. I need to write, and if I don’t have an outlet, I find myself writing incredibly long shopping lists or endless emails to friends. I definitely need an outlet. Though, of course, as soon as I have a book on the go, and a looming deadline, I can find a million ways to prevaricate. Q. Do you have any pre-writing rituals? A. Yes, and they are getting more arcane book by book. I now have to play a hand of computer bridge and do a crossword before I can settle down to write. Q. Are there any more adventures coming up for Beth? A. Yes, the fourth Beth book, Homicide in Herne Hill, will be published on 3rd October and sees Beth moonlighting in a solicitor’s office, in pursuit of a suspect, and I’ve just started writing the fifth in the series, Revenge on the Rye, involving murderous dog walkers and dishonest artists. 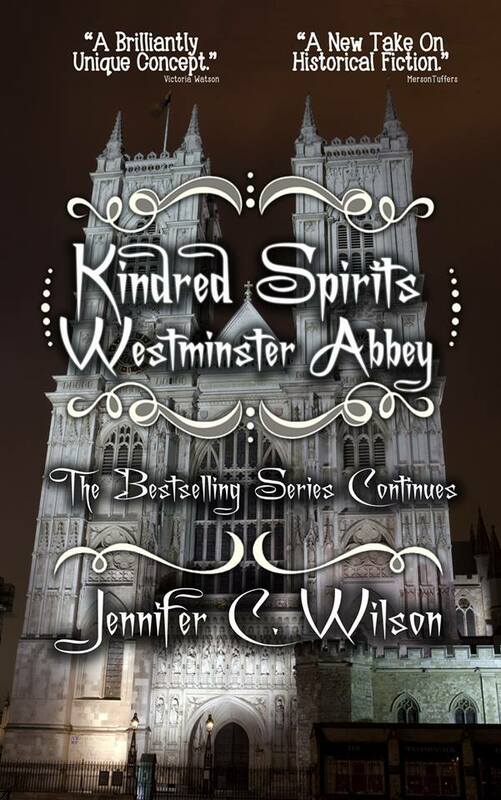 The exciting new book by Jennifer Wilson - Kindred Spirits: Westminster Abby.....it's a must read! ​In the Kindred Spirits series, we meet the ghosts of historical characters, in a range of contemporary settings. Have you ever wondered what Richard III and Anne Boleyn might have in common, what Mary, Queen of Scots is getting up to now, or what happens when the visitors leave some of the most popular attractions in the country? Well, here’s your chance! Come to "The Cocktail Bar" with Isabella May! ​Join me in welcoming author Isabella May, who is following up the smashing success of her first novel, “Oh! 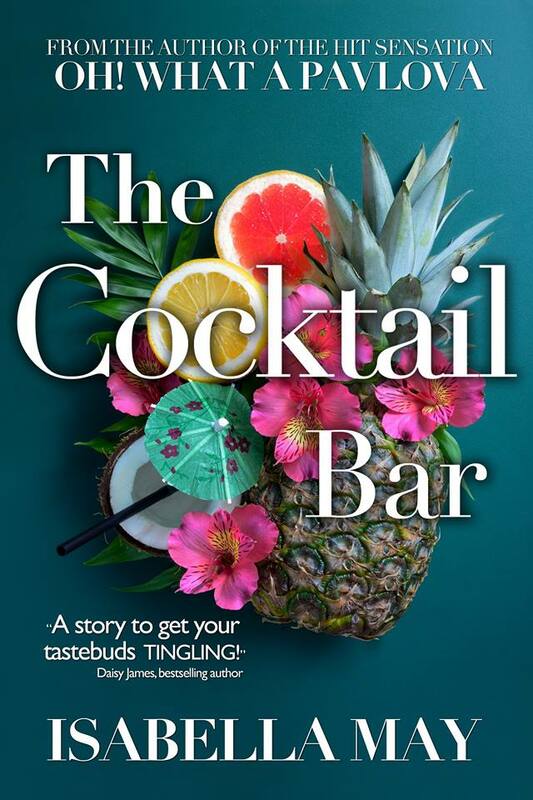 What a Pavlova!” with the release of her latest, “The Cocktail Bar” (featured below). Her third novel is coming out later this year (how does she do it?!?!?) Today she stops by to talk about “The Cocktail Bar”, food, and travel. Read on! 1.Your first book, “Oh What a Pavlova”, had a good bit about traveling and food and the like woven into the main storyline. Your latest, “The Cocktail Bar” centers around a rock star, trying to make a success of his new cocktail bar, armed only with a very specific drink. Would you call yourself a foodie? What is your favorite food/drink? Aside from that though, yes, I do like to eat. I spent my late teens and early twenties calorie-policing every morsel that went into my mouth, labeling my food ‘good’ and ‘bad’, and I was miserable for it. Nowadays, I have a respect for everything I put in my mouth; from the cookie to the carrot. It makes for a happier me; I believe the good properties of every bite go on to do good things to the body that way (well, Quantum Physics proves it). I suspect that in a past life I probably lived in Italy though! My favourite foods span well-made risotto and pasta dishes through to gelato and Mozarella. I’m also a sucker for an Aperol Spritz. Ultimately, food (and drink) is life. It brings people together and is there to be enjoyed, rather than feared and slated. That’s the key to balance and moderation when we come at it from a more spiritual, loving angle. 2.Do you also like to travel? Where is the best place you’ve ever visited? Travel should have been my middle name. I have visited 40 countries, and currently live in Spain. In the last decade, since having kids though, I’ve had to keep a lid on my wanderlust somewhat. No mean feat when you get itchy feet! There are so many incredible places I have traveled to, that it really is hard to choose my favourite. One of the most invigorating places I’ve been is definitely Seoul, in South Korea. It was mind-blowing and so very different to everywhere else. 3.What is your writing process like? Do you plot out your stories, or do you begin and see where the story takes you? I have an inkling of the direction the story will go in, but my creativity flows best when I give myself permission to be a ‘pantser’. I really am a Post It note kind of girl and cannot bear the constraints of all things spread sheet and rules! 4.What’s your favorite part of being an author? It’s clichéd, I know, but there’s no greater feeling than that blank canvas (page) waiting to be filled with your art (words). 5.What’s your least favorite part of being an author? 6.If you had to choose only one, which of your characters would be your favorite? River Jackson from ‘The Cocktail Bar’. He has fine-tuned the enviable quality of not giving a rip what others think. We could all learn a lot from him! 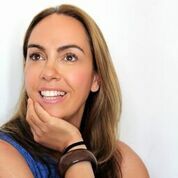 As a co-founder and a former contributing writer for the popular online women’s magazine, The Glass House Girls - http://secure-web.cisco.com/10HW_x_BB7T9NzoP5AFmHREbJ188dKf8BhFxPOlKBmXRrSag6GjlikkJfv-0hPVxO3HlM66Cf24FvVEdNzQTH7pfsvb4PFImk2XfFmaMl8aadI2Ydoa0xawWn_aUOUMnKDSxx3-y9fU2fXscbFUUpI0JW_Dt71v0Bzc71FtSMijZIX5SMNUCT6BRx5_NTCBCLvAEMdM0q0cnfYBOylS1LfF_QK3rxwXOqR-DUP0llQW7l8z1g9MKo-jQkMvk3f_C62WlvL9hS7hSaz0FUNM3TOiFfg6miGniqlr-W3ClFIk_8DvFNhK3dik8Agsa5jeXFVToC8JDVNa9g9S_Sg--6wYeEkosKEvlRerbWxRA20b4o_cer_a1qVlV6EhgUN_3M5AL5jrvK_749IS1_tJkRsA/http%3A%2F%2Fwww.theglasshousegirls.com - she has also been lucky enough to subject the digital world to her other favourite pastimes, travel, the Law of Attraction, and Prince (The Purple One). 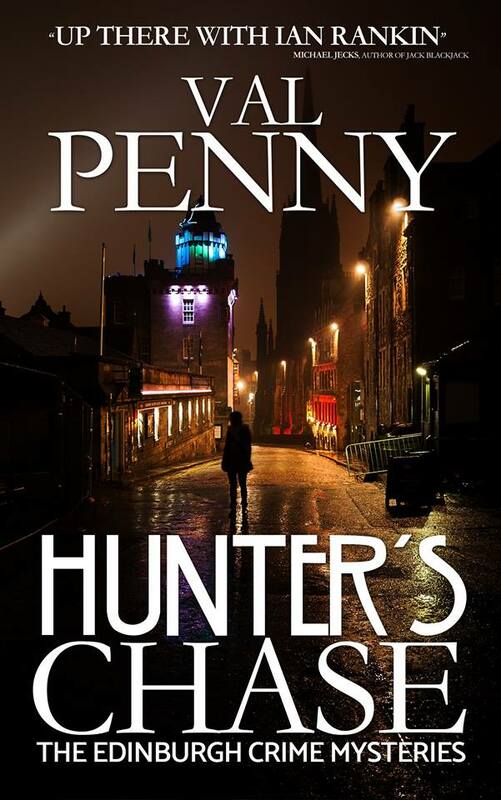 Val Penny's new novel, "Hunter's Chase"! Today Val Penny, author of the wonderful, much acclaimed new novel "Hunter's Chase", stops by to talk about her writing process. Read on and be sure to grab your copy of the book, available now on Amazon. Plotting is central to writing a novel, but it is a highly individual process. No two authors plot in the same way. Some plot organically while others plot in a very orderly fashion. Many writers even plot differently from one book to another. Some write scenes: hundreds of scenes that interest and excite them and then they stitch the scenes together to from the novel. While others visualise the way the book will take shape using dozens of bits of paper laid out on their desk or even on the floor. It must be important to make sure the windows are closed if you plot this way! However you plot your novel, the goal is the same, to allow the journey it is about take that will last several months on the road with a novel. It is important that you, as an author, choose between the 'organic' and 'orderly' methods of plotting so that you are comfortable that your choice works best for you and the book you are setting out to write. I plotted my first novel 'Hunter's Chase' organically but, after attending a course run by Sue Moorcroft at last years' Swanwick Writers' Summer School, I plotted the sequel 'Hunter's Revenge' using diagrams and spreadsheets. Neither is wrong. Both have strength and weaknesses and either can be successful for crafting a novel. 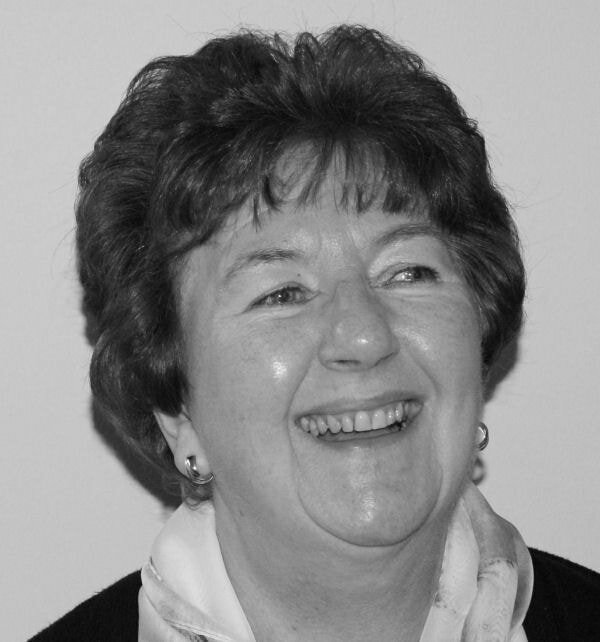 Other authors, like Sue Moorcroft, plot meticulously and there is no doubt that plotting an outline is hard work. However, having undertaken an outline on 'Hunter's Revenge', I found myself into writing my novel with confidence. I was happy that one chapter followed another in a sensible sequence. My characters retained their identities. Of course at the end of the first draft, there were flaws, but I found I was able to repair those readily. 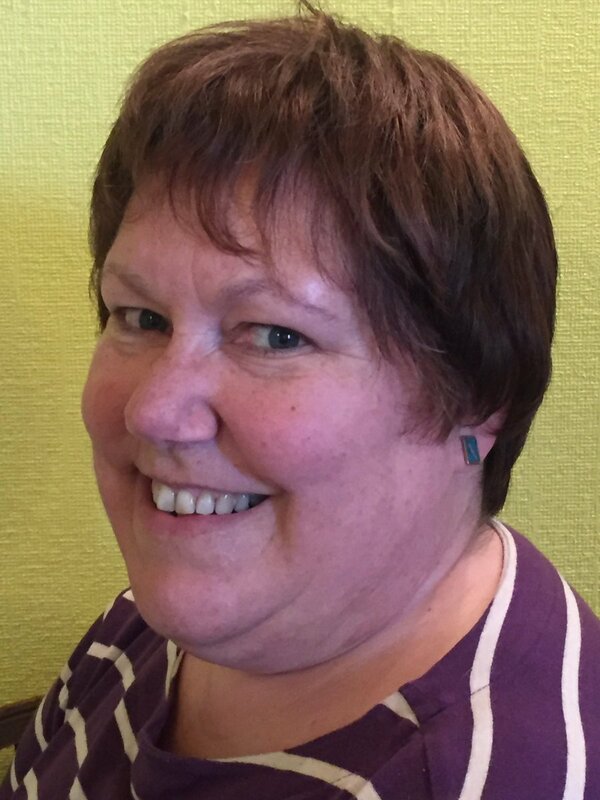 Val Penny is an American author living in SW Scotland. She has two adult daughters of whom she is justly proud and lives with her husband and two cats. 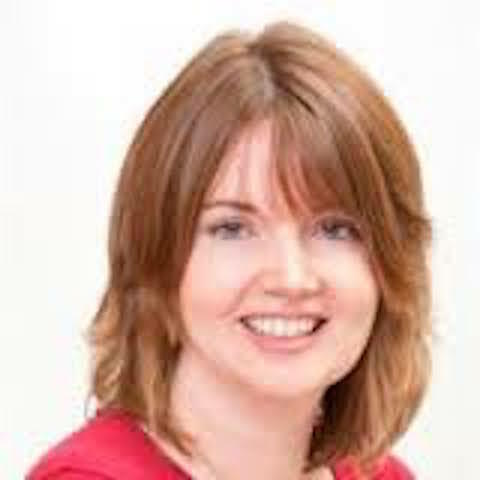 She has a Law degree from Edinburgh University and her MSc from Napier University. She has had many jobs including hairdresser, waitress, lawyer, banker, azalea farmer and lecturer. However she has not yet achieved either of her childhood dreams of being a ballet dancer or owning a candy store. Until those dreams come true, she has turned her hand to writing poetry, short stories and novels. Her first crime novel, 'Hunter's Chase' set in Edinburgh, Scotland will be published by Crooked Cat Books on 02.02.2018. She is now writing the sequel, 'Hunter's Revenge'. 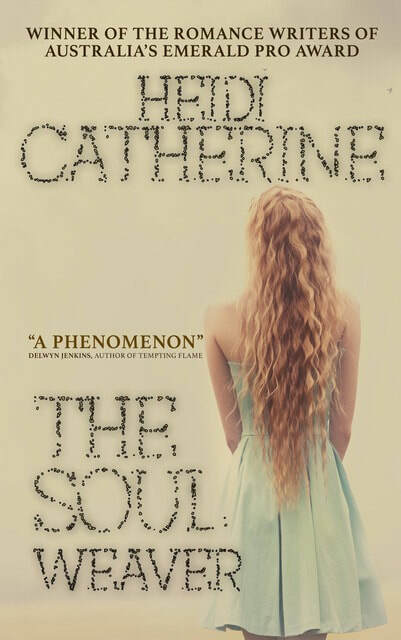 Today I’m speaking to Lin, who is the main character from Heidi Catherine’s novel, The Soulweaver. She’s had a few unusual experiences that I’d like to find out more about. Hi Lin, I’ve heard that when you look out of your bedroom window, you see a forest. How is this possible for someone who lives in the middle of Hong Kong? I suppose I must see what I want to see. It’s just a game I’ve been playing since I was a child. Where you might see buildings, I see trees. You might see people below on the pavement, but I see possums or wallabies. You might hear traffic horns, but I hear birds calling out to each other. I’m not sure why, but I’ve always dreamed of living in a forest. It’s almost a surprise to me each day to open my eyes and see that I live in Hong Kong. I hope to find out why this is happening one day. You also dream of faces you don’t recognise. Who do you think these people are? Again, I have no idea. They are western faces, with fair skin and hair. So different to the people I am surrounded by each day. It’s just another thing I don’t understand. One face I dream of quite often is a boy with blond hair and a scar running down his face. It almost feels like he’s trying to talk to me sometimes. I just wish I could hear what it is that he wants to say. Maybe then I could find out who he is. Well, of course we learn it in school, but my parents also own a convenience store not too far from home and tourists come in there all the time. I love talking to them and watching American sitcoms on the little television we keep behind the counter. I picked up the language very easily, which for some reason annoys my parents. They think that I want to be like one of these western tourists. I’ve tried to tell them it’s not because I don’t think my family is good enough – they are! ­It's just that somehow I don’t feel like I belong. Tell me about your friends at school. I don’t really have any friends. The other girls think I’m strange. I just don’t see the point in the conversations they have or the games they play. There’s so much happening in the world – forests are being cut down and people are starving – and they’re more interested in talking about what they’re going to wear on the weekend. I don’t get it, just like they don’t get me. So I keep to myself mainly. I like to go to the woodlands and draw the faces from my dreams. I started doing it thinking it would help me to make sense of all of this, but so far it hasn’t. In some ways it’s made it worse. I look into the eyes of these people I’ve drawn and I know so well, yet I’m certain I’ve never met them. Especially the boy with the scar on his face. He’s so familiar. I just can’t place where I know him from. It’s like I recognise him with my heart rather than my eyes. Thanks Lin. Good luck with the drawing and I hope you figure out who all these people are one day soon! Heidi Catherine can be found on Facebook, Twitter or on her website. Her debut novel, The Soulweaver, is available for order now. She also has a free prequel novelette called The Moonchild, which introduces you to two of the main characters from The Soulweaver in the lifetime they lived before the book takes place.